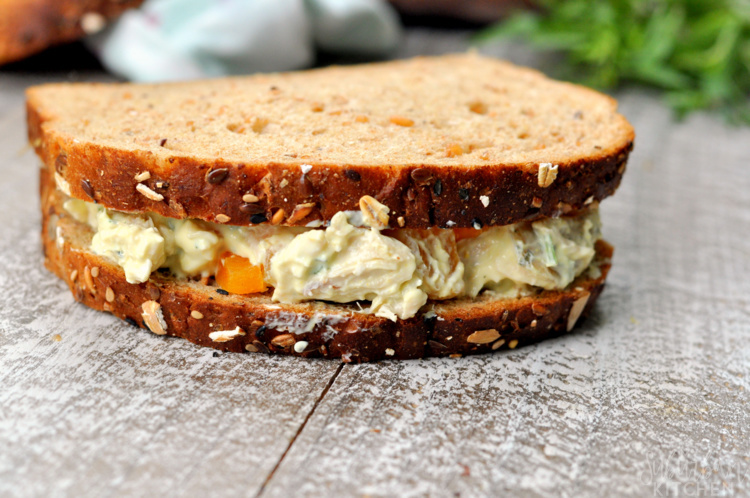 During the warm summer months, I crave sandwiches like this cool apricot tarragon chicken salad sandwich. 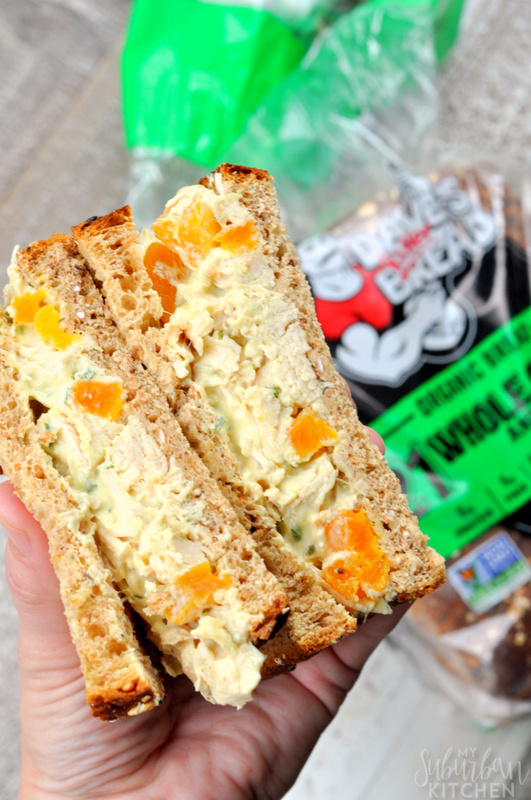 Combine a creamy chicken salad with Dave’s Killer Breads 21 Whole Grains and Seeds and you have the ultimate lunch or light dinner ready to go. 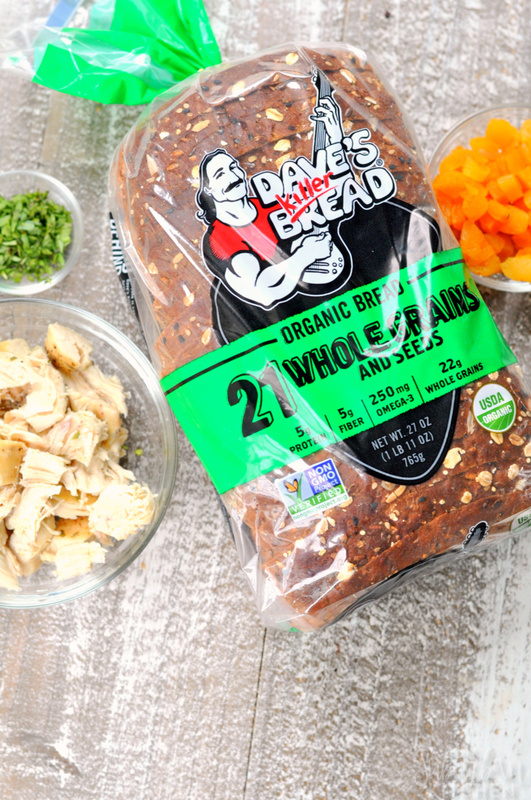 Dave’s Killer Bread, now available at Walmart, is the #1 selling organic bread brand in the country. With 5g protein, 5g fiber, 250mg Omega-3, and 22g whole grains per slice, it is the perfect bread for all your sandwich needs. 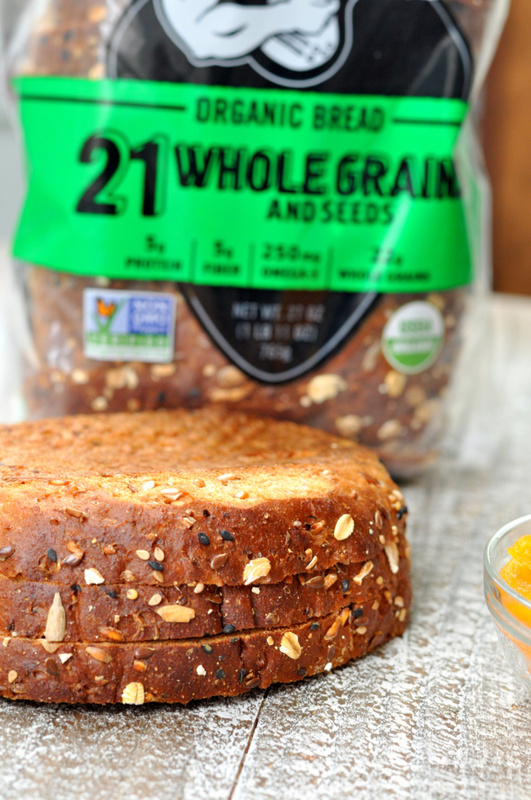 I love the hearty texture, subtle sweetness, and a seed-coated crust of the 21 Whole Grains and Seeds version. It is so perfect for toast, sandwiches or even on its own. I’ve used it for grilled cheese, french toast, and even with just a little butter spread on top. While I tend to eat it most at lunch time, Dave’s Killer Bread is always so delicious and a great way to make sure I am getting more whole grains in my diet while still eating something that tastes delicious. I usually keep a container of this apricot chicken salad in the refrigerator so I can enjoy a yummy sandwich anytime I want. It is the perfect way to use up extra, cooked chicken breast. Plus, it only needs a few pantry staples to make so you can easily enjoy it anytime. 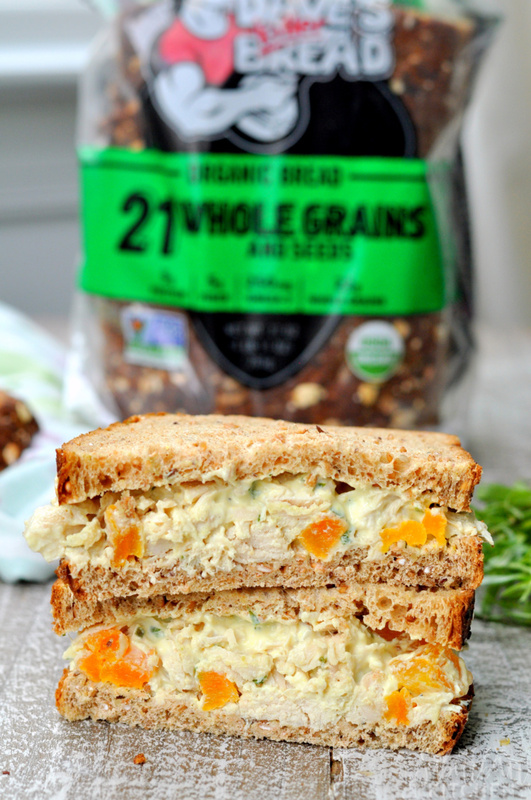 The seeds from the 21 Whole Grains and Seeds bread go perfectly with the creaminess of the chicken salad. As you prep for all your summer food needs, be sure to head to your local Walmart to grab some Dave’s Killer Bread! It is so convenient to just grab a loaf while you are shopping for the other ingredients. You can also find more information and inspiration by visiting Dave’s Killer Bread Instagram and Pinterest pages. If you make this apricot tarragon chicken salad or any other recipe from the blog, I’d love to hear about your experience. Let me know if the comments or snap a photo and tag it #MySuburbanKitchen on Instagram or Twitter. 1. In a medium bowl, combine chicken breast, dried apricots and onion. Stir to combine. 2. In a small bowl, combine yogurt, mayonnaise, mustard and tarragon. Add to chicken mixture and stir well. Refrigerate until ready to enjoy. 1. You can substitute diced celery for the onion if preferred. 2. Tarragon has a very strong anise flavor. If you aren't familiar with the taste, I suggest starting with 1 tsp tarragon first. I’ll be putting both onions and celery in my sandwich. I like the crunch of it! This is such a hearty sandwich recipe, Thanks for this! Perfect for summer snacks during the day! This looks perfect for summer lunches! LOVE the apricot and tarragon combo!